I've signed Up and haven't got my activation email what do I do? This happens all the time and nothing can be done about it due to spammers who had messed it up for everyone else. So there is a chance that our emails are going to your spam or junk mail box. So if it's not in your email inbox please go and check your junk mail or spma box for our email. Then could you please then add our email to your safe list admin@epicptc.com. At this time that is the only email EPIC PTC uses and you won't get emails from staff member unless you contact them personally. 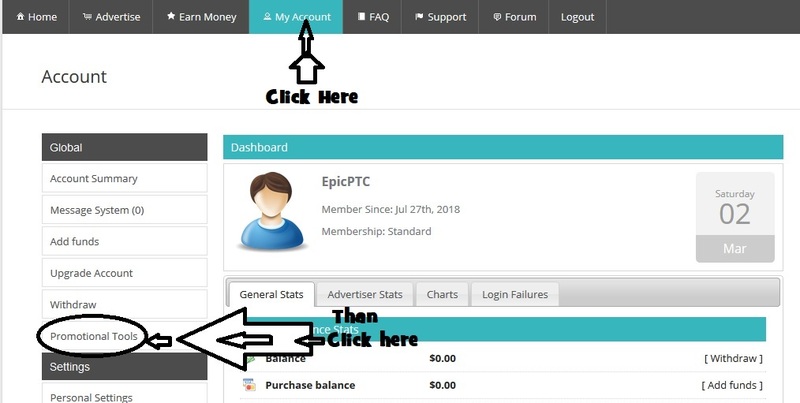 But you can also use the wild card options on adding an email with a "*" in front of the at symbol like *@epicptc.com If all else fails you can submit a support ticket here: https://www.epicptc.com/index.php?view=contact and we will activate your account with testing with another email or if you want help on adding us to your safe list. Well we have many way for you to contact us for support as we are always will to help or work with you. My account is suspended what do I do? Being suspended doesn't mean you were caught cheating. But in most cases that can be the story. Regardless we are here to work with you and get you up and at them again if your an honest member. Through our system we have cheat detection feature to make sure your are huamn and not using software that auto clicks the ads without give any really views. We also suspend members for bad or broken emails to prevent too many failed to deliver emails from our server. What is a cheat link? What happens if I click it. Although we really shouldn't have to tel you guys. But because common sense is a super power these days we have to explain this in more then one area. One of our many methods for detecting cheating in our system is the use of a cheat link. We will use as we please to make sure our advertising are getting real views as I'm an advertiser and clicker myself (The owner). If yoiu see the cheat link don't click it. [quote]YOU WILL BE SUSPENDED BY CLICKING HERE DON'T CLICK DON'T CLICK or THIS IS A C-H-E-A-T LINK HUMAN CHECK or something close to that[/quote] Whatever it may be you must pay attention to what your doing so you don't click it by accident if visible. Cheaters will always be caught. So just don't cheat as it hurts us all. How do I refer people like friends or family to your program so I can earn more? Basically, your will need to give the person your want to refer your special referral link. On top of that we created extra tools, such as banners and code to use so you can promote your link other ways to increase your earning and our human viewer base. As bots and fake accounts detected/caught daily. So, in order to get to your link and tools for promoting you will want to go to your account. Clicking the “account” navigation option at the top of the page will help if you are new here once there click on the option that says “Promotional Tools”. This will bring you to your promotion tools page. See image below on how to find it. 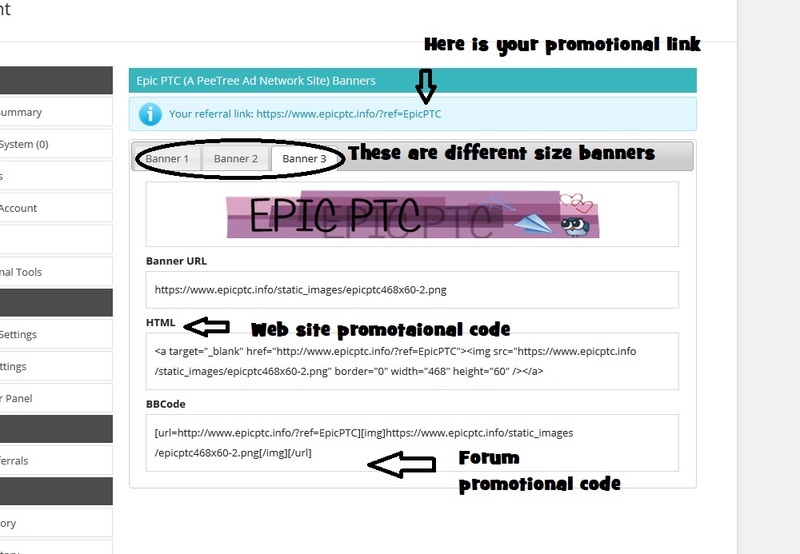 Then you will see your referral link which is how you get referrals and promotional tools such as different size banners and forum or web site code with your referral link coded into it for easy placement. See image below for what we are talking about.